When it comes to achieving soft, smooth and lustrous hair, the importance of deep conditioning can’t be ignored. But why spend hundreds of bucks to buy those synthetic conditioners loaded with harmful chemicals when you can get your at-home alternatives at a minimal expense? Yes, you can prepare your own deep hair conditioner with some inexpensive kitchen ingredients like banana, honey, coconut oil, etc. and that too without putting much effort in it. In this article, we are going to share the recipe of the homemade banana deep hair conditioner with you and explain its benefits for hair in details. The process of making banana deep conditioner at your home is not at all tedious. Rather, you can make it in as less as 3 to 4 minutes. 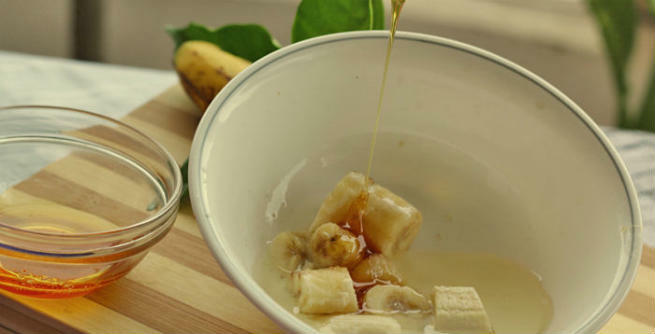 At first, make thin slices of the banana(s), Shift the pieces to the medium-sized bowl. Pour the freshly extracted coconut milk into it. You also need to pour the coconut oil at the same time. Now, add the pure raw organic honey to the ingredients kept in the bowl. Combine them roughly with the help of the spoon. Next, transfer the mixture to the food processor or blender. Process or blend it for anywhere between 45 seconds and 1 minute. Make sure that you pause for sometimes in between and stir the semi-processed mixture by the spoon. It will mash all those chunks of banana easily. Once the entire thing turns into a smooth, creamy mixture, pour it into a bowl. Your homemade banana deep hair conditioner is ready for application. Banana is a great source of vitamins (A, C, E and B6), minerals (potassium, iron and zinc), natural oils and water (almost 75%). The vitamin and mineral contents of the fruit can keep our hair healthy by making it nourished. Potassium is one of the most vital elements of our hair, which strengthens the hair strands by boosting their elasticity significantly. As a result, the hair becomes less prone to breakage or fall. Conversely, the water and natural oils play a key role in restoring the moisture of hair fibers and keeping them well-hydrated. Being a natural humectant, honey can help lock in the moisture content of our hair, thereby making it soft and manageable. It also contains lots of B vitamins and minerals (iron, zinc and sulfur), which are essential for the proper growth of human tresses. Coconut oil is packed with healthy fatty acids and vitamin E. Hence, it offers ‘deep conditioning’, which is essential for the nourishment of our hair fibers, especially the dry, damaged and frizzy ones. 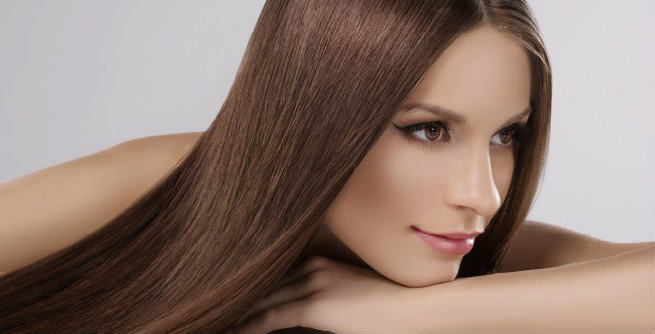 It also prevents the keratin loss of hair and stimulates it growth. In addition, coconut oil can cure dandruff due to the antibacterial as well as antifungal properties of the lauric acid present in it. Coconut milk is full of proteins, fats and antioxidants that are vital for the health of our hair. It not only fortifies the hair fibers, but also adds considerable volume to it. Regular application of this conditioner can make hair softer, smoother and shinier by repairing damages, eliminating frizzes and reducing dullness.